Valencia CF foundation failed to repay its debt of 86 million to the Bank Bankia, they also failed to pay the 4 million interest on the debt in order to basically extend the debt repayment by a quarter, and with the Valencia government being the loan guarantee they have now assumed control of the club. Funny thing is that the Valencian government called the generalitat or whatever you translate it from Spanish, is also broke. In fact all of Spain is broke, so the whole situation is as messy as it can be. How will the city repay the debt is unclear at this point in time. Bankia is the next to take ownership of the club if the Valencian government doesn't pay the debt or 4 million interest and they could take over the club come February. 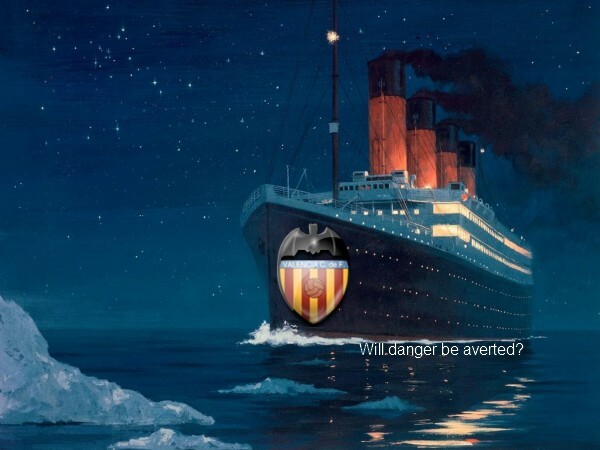 Thing is they don't want to take over the club, but they also don't want the government running the club and want the Valencia CF foundation to continue running the club as they would have best chances of long term profitability of the club, which would allow Valencia CF to pay its debt slowly. At this point I'm going to be that Bankia is going to take over the club though, as the Valencia government is facing huge uproar over taking over the club, when they are so debt ridden themselves, so I don't see the politicians doing political suicide and managing or owning the club, so I'm expecting Bankia to become the new owner of Valencia CF in December. At this point I'm not even sure if Manuel Llorente is going to run for re-election and we may even see the bank putting someone in charge on an executive decision.